I made a little video about how I made this page or you can just see the photos below. 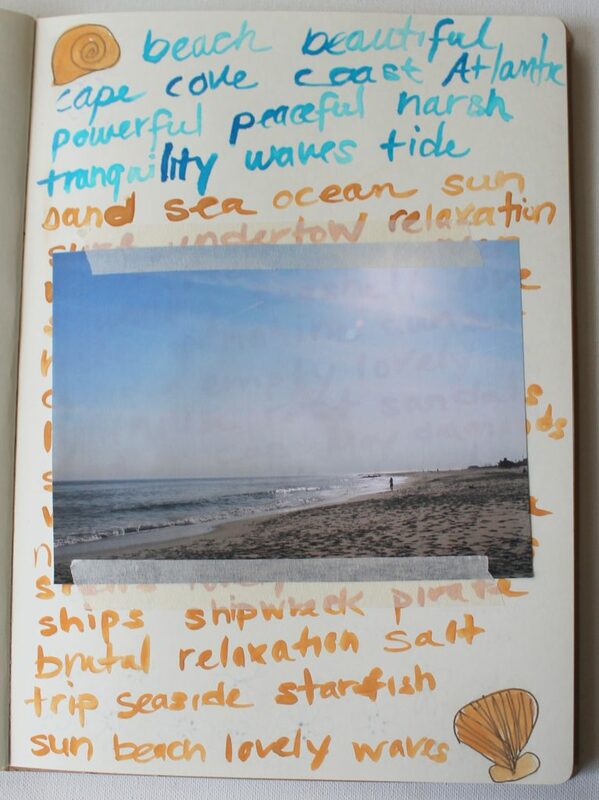 To make this page I first chose a photo from a beach trip that I loved and printed it 5″ x 7″. You could use any size photo you like, of course. 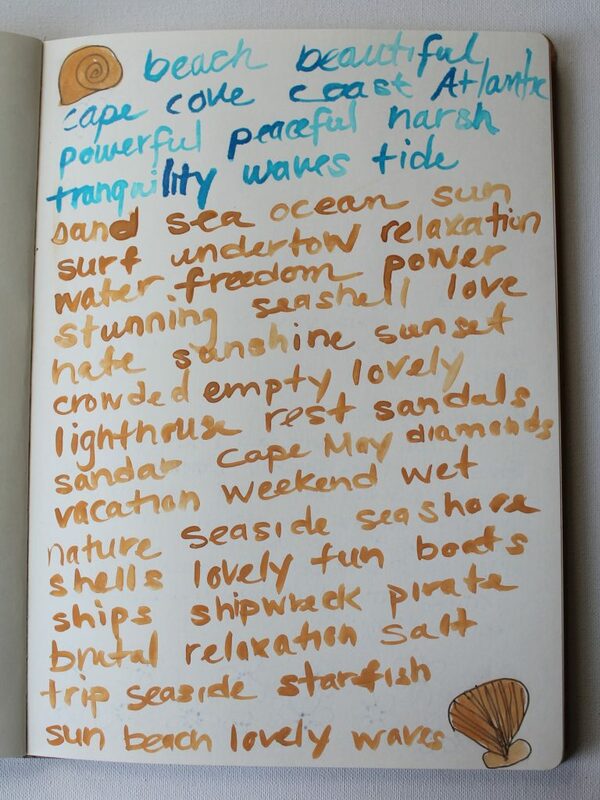 Then I thought of a bunch of words that reminded me of the beach. Then I used watercolors and painted all the words as a background on the page. Then I simply attached the photo in the middle. You can place your photo anywhere you like. Maybe you’re not a beach person. You can use this same technique for any photo. Just make a list of words that represent the photo and paint them as a background in colors to go with the photo. On Tuesday I’ll share how I used this page as inspiration for a piece of jewelry (and I’ll even share a video tutorial!) Get it in your inbox by signing up for my newsletter below and you’ll also get my free Intro to Jewelry Making eCourse! 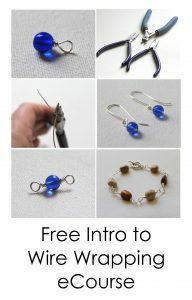 Get the Free Intro to Wire Wrapping eCourse! 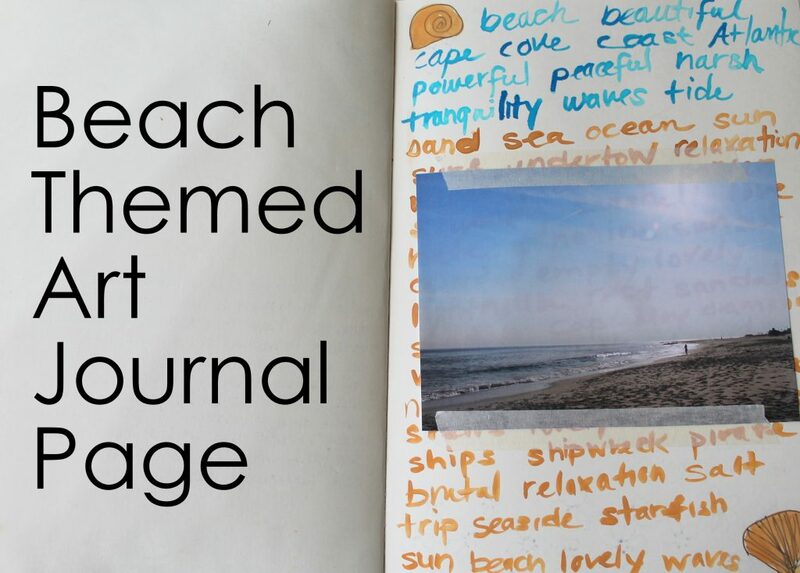 This entry was posted in Art Journal and tagged art journal, Art Journal Page, Beach, Beach Theme, creativity by Kimberlie. Bookmark the permalink.